Shireburn Financial Manager (SFM) is a fully fledged financial accounting solution that combines high-level capabilities with ease of implementation and use. Easy to use by small to medium-sized businesses, yet offering all of the capabilities required by larger organisations, Shireburn Financial Manager is the bedrock on which thousands of local companies have built their accounting structures. 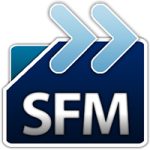 SFM supports a multi-user, multi-company and multi-currency environment including full financial and management reporting. Its data-centric design allows users to have immediate access to information. SFM also provides an unrivalled, lower cost of ownership compared to systems of similar capability. With SFM’s modular approach you can choose to implement those modules designed to address the needs of your business. We have been using Shireburn Financial Manager for a number of years to help us provide accounting services to our clientele. SFM is extremely reliable and is backed by a strong support team. As a result of our positive relationship with Shireburn, we had then also opted to use Shireburn’s Payroll System to administer our clients’ payroll. When Shireburn then later launched their cloud Indigo Payroll product, we were keen to get on board. Indigo Payroll provided the additional functionality for our clients, wherein despite outsourcing their payroll function to our firm, we were able to give them access to control employees’ leave and other information, apart from their own employees’ having access to the portal. This enhanced the service being offered to our clients, resulting in a win-win situation. Established in 1985, Comprehensive Management Services Ltd is a licensed accountancy firm providing accountancy, payroll and ancillary services to both corporate and individual clients. We had been using SFM for a number of years for our accounting requirements. We found it to be so practical and easy to use that when we decided to start administering our own payroll, we automatically went ahead with Shireburn’s Payroll System. All-In Translations is a specialised translation agency for the igaming industry, offering also additional localisation and content writing services. I was already familiar with Shireburn’s payroll software, excellent support and customer care. So when the opportunity arose to invest in a solution to manage our accounting and payroll at Medasia, Shireburn were our top choice. Their system helps us better manage our payroll and time & attendance, with a number of different payroll requirements, from full time to part time, with different roster based working hours amongst others. Located in the heart of Sliema, Medasia Fusion Lounge offers contemporary Asian and Mediterranean cuisine. At Attard & Co we have used a number of different systems from different suppliers. We were looking for a practical, easy to use, payroll and accounting software for a new business venture. Shireburn came up with the right software package and we went for it. I have no hesitation recommending them. Established in 1921, Attard & Co Ltd is a successful group of companies locally renowned for imaging, industrial works and foodstuffs. We had to launch ourselves online with a solution that would integrate directly with our sales, inventory and finance in order to have a single point of data entry and automated stock control levels. So we naturally approached Shireburn to do the job after having used their inventory and finance solutions for so long. We have been using Shireburn’s accounting solution for a number of years. As part of our strategy to automate more business processes within our company, and having been satisfied with both the Shireburn product and the support levels received in the past, we decided to enroll Shireburn for their Payroll and Online Leave Management solution. For a staff compliment of 44 persons, this will greatly reduce administration and much manual payroll and leave processing, leaving us to concentrate on the more important matters of our business. When in 2002 we were looking for an accounting system that addressed our requirements and is well supported, we opted for the Shireburn Financial Manger (SFM). After all these years, we still believe in our decision. The software continues to cater for all our ongoing requirements, and it is additionally backed up by an excellent support team over at Shireburn. Jesmond Mizzi Financial Advisors deliver a personalised blend of wealth management services for the individual demands of both private and institutional clients. In my business, providing accounting services to my clients, requires an accounting system that is easy to use with low touch costs. Shireburn’s Financial Manager (SFM) fit the bill and I am very happy with the solution.